Home / videos / HTC Desire 626 FRP/Google Account Lock Bypass/Remove/SKIP Last Update. 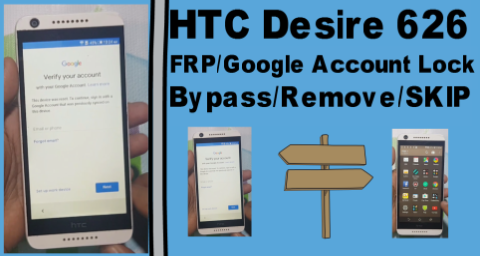 HTC Desire 626 FRP/Google Account Lock Bypass/Remove/SKIP Last Update. HTC Desire 626 FRP/Google Account Lock Bypass. HTC Desire 626 FRP Remove Required File. 2# Download Google Account Manager Apk. HTC Desire 626 FRP Remove Method. 1# Go back home manu. 2# Tab 2 finger on screen. 3# Now enable talkback and go to talkback setting. 4# Disable talkback volume up and down keys. 7# Download QuickShortCut Maker Apk & Google Account Manager Apk. 8# Install Google Account Manager Apk. 9# Again install quickshotcut maker and open it. 10# Go to google account manager Login New gmail ad and password. 12# After open phone go to setting and remove login gmail. 13# Now your htc 626 frp bypass complite.